GCU, Graduate Christian Union exists to help you reach your full potential as a graduate student, and to discover your best self. You can help us build a network and a friendly learning community among postgrad and postdoc students. We respond to those pursuing the deeper life, those who want to grow in character as well as academically. We would be delighted to meet you and hear about your journey, your passion and your area of inquiry. This is a active group of curious people from around the globe. Join us on Mondays at the Sauder Business School coffee shop at 1:15 p.m. for our ongoing investigation of Agape Love. We are also willing to host other studies in your department. Be in touch with us: gcarkner@shaw.ca (Gord); ucarkner@shaw.ca (Ute) We would love to meet you and share about the opportunities available in this outreach to UBC graduate students. It is a lot to navigate a higher degree and we want to help. Enjoy the information and articles found in this Blog. Joined by his wife Ute ucarkner@shaw.ca, and a number of UBC faculty interested in supporting graduate students, Gord loves to hear stories from around the world and he enjoys the wonder of engaging our Christian faith with culture and with science. We work hard for you! GCU is all about dialogue, discussion, probing good question and personal growth. Key Words to Capture the GCU Narrative Curiosity, Community, Digging Deeper into Faith and Reason, Integration, Science-Religion Dialogue, Identity Capital, Big Questions, Meta-Biology, Meaning and Calling, Adding Value to Education, Culture Making, Justice and the Common Good, Creative Imagination, Good Scholarship, Innovation, Christo-centric Inspiration, Incarnational Humanism, Adventure and Fun, Celebrating Creation, Re-thinking the Secular, Social Relevance. GCU is interdisciplinary and international, it creates a lively conversation as people bring their wealth of knowledge, experience and expertise to the table. They also bring their heart, humour and their joy to community. Let’s get to know each other and explore new horizons together during this important journey of postgraduate education. Looking forward to hearing your story and your aspirations for grad school. Long hours in the laboratory, thesis proposals, the weight of comprehensive exams means that a grad student needs a support infrastructure. I can’t speak highly enough about getting involved with a group on campus like GCU, and also finding a good church home base. Also as you are walking into your office or biking into campus, try praying for your profs, fellow students, or admin staff; this can help stimulate surprisingly fruitful conversations. And don’t forget that you are here to serve undergrads with grace. Feel free to track me down for coffee; I love ideas exchange. There is no more important bellwether for our society and our culture than the university — and yet Christians within academia often travel incognito, which isn’t good for them, isn’t good for the university, and isn’t good for other Christians, who often feel alone when really they’re not. A ministry to grad students and thus provides a vital venue where Christians can connect, show their colours, and stimulate each other to play the full role they’re called to play as fully alive and “out” followers of Christ. Decide to be a public Christian at UBC. Graduate research is often like looking for a lightswitch in a totally dark room. It can be frustrating at times. It certainly was for me! It was invaluable for me to have close connection with other Christians whom I could share that load with, and who were praying for me. Students engaging and encouraging fellow students on the cutting edge of thought and research. Courage and integrity in the pursuit of excellence in research and noble personal character. Winsome exploration of fullness and joy in our work and life, to live large with humility. The agape love posture of respect in relationships with high goals for collegiality and friendship. In preparation for global citizenship and pursuing hope for a better and more just world. A stance of intellectual openness in the pursuit of a reasoned faith and faithful, responsible, virtuous reasoning, handling the pursuit of knowledge wisely. A constructive contribution to campus discourse, raising important questions, and exploring fresh ideas and horizons. Open to dialogue. Drilling down into the richest heritage of Judeo-Christianity, leaving no stone unturned. Exploring how this can inspire and open up channels for academic investigation. Develop a deep identity in Jesus Christ and the biblical narrative while respecting difference in convictions of others, promoting a responsible spiritual quest for truth, beauty, goodness and community. Encouraging intense curiosity that draws from the wisdom of faculty across the disciplines and scholarship from around the globe. Advocating for others who are less fortunate or less privileged, pursuing their empowerment and freedom from oppression and grinding poverty. Pursuit of the common good towards an integral humanism. Regular Thursday Study Group Join us for dessert and study at 277 west 16th ave. starting mid-September at 7:00 p.m. This fall we are working through the book of Philippians. The questions from academic life can be brought to the Scriptures and the study of the Bible can inform our academic work in surprising and life-giving ways. We will also draw on Tom McLeish’s 2014 book Faith & Wisdom in Science, from Oxford University Press. Tom is a brilliant biophysicist visiting from Durham University in early November. Finally, Ute offers opportunities for reflective prayer and spiritual direction. These are often quite transformative: ucarkner@shaw.ca Join her to make space for God in your busy schedule. Because GCU is interdisciplinary and international, it creates a lively conversation as people bring their wealth of knowledge, experience, travel and expertise to the table. We look forward to hearing about your research passion and the questions you are exploring. I hold a PhD in Philosophical Theology (also trained in Human Physiology at Queen’s University, Kingston, and theology in TEDS Deerfield, Illinois). I love to talk about your passion and about resources that can build your mental furniture. Ute has a Masters in Spiritual Direction, Regent College (also Bachelor of Arts and Bachelor of Education) She is a great listener and support person, passionate about the power of prayer to change circumstances and lives. Our Alumni include doctors, nurses and healthcare professionals, economists, performing artists, educators, scientists, engineers, inventors, university professors, researchers, geneticists, physicists, mathematicians, school administrators, philosophers, politicians, writers, city planners, environmentalists, psychologists, counsellors, chemists, government bureaucrats, business leaders, lawyers, technologists, aircraft designers, immigration specialists, pastors, missionaries, theologians, leaders of campus ministries. GCU Staff Gordon Carkner is a visionary, passionate about dialogue on salient questions of meaning and identity, faith and culture. He has worked as a meta-educator, a networker, and campus pastor for over 30 years in Canadian universities. As a voracious reader, his vision is to mentor future leaders within academia with excellent resources: to keep them on the cutting edge and to broaden their horizons. Together with his team of university faculty and graduate students, he has sponsored countless book studies, lectures, panels, discussions and debates on the connection between a wide range of academic scholarship and Christian faith, helping people find their voice, grow their identity, and develop a spirit of curiosity. His present work is located in Vancouver, Canada at the University of British Columbia. He is also keen to feed relevant scholarship intelligence and critical thinking insights to church leaders. He is joined in his work by his lovely wife and ministry partner Ute and their two charming daughters. As a family, they enjoy getting out in the mountains of British Columbia, Alberta, and the Austrian and Swiss Alps. Gordon and Ute together have hiked the Grand Canyon and Ute joined an Australian expedition in Nepal. Dr. Carkner holds a B.Sc. in Human Physiology from Queen’s University in Kingston, Ontario, Canada; a Masters of Divinity from Trinity Evangelical Divinity School in Deerfield, Illinois; and a PhD in philosophical theology from University of Wales, with a strong emphasis on the moral self and the making of the modern identity. His curiosity and expertise lies in the arena of questions concerning freedom and the good, secularity, meaning, worldviews, and philosophical anthropology, as they get articulated, discussed and debated within late modern Western culture. His current intellectual hero is Canadian McGill University philosopher, Professor Emeritus Charles Taylor. He is also well read in history and philosophy of science, science and theology. Gordon co-authored with Michael Green the popular book Ten Myths about Christianity, which sold over 200,000 copies in twenty languages and assisted many people around the world to reconsider what faith offers to their journey in life. He has also authored a number of key papers on scientism, individualism, worldviews and pluralism, tools for effective dialogue, and Charles Taylor’s recovery of the good for moral discourse. He hosts an active blog for postgraduate students, which reaches people in 92 countries, at http://www.ubcgcu.org. Gordon just finished a new book relevant to grad journey called The Great Escape from Nihilism. It is due to be released this fall. Dr. Francis Collins @ UBC: Are We More than OurGenes? Welcome to UBC! We’ll look forward to meeting you. Please join us at our first Study Group 7:00 pm Thursdays. (Information: gcarkner@shaw.ca). Where are you from and what are you studying? GCU draws people from many countries and many disciplines to create a home away from home. It was delightful to meet so many wonderful people at the GSS Clubs Fair on September 2. We had some very interesting conversation amidst the excitement of a new adventure in education. Did you know that there are now 10,000 postgraduate students at UBC, virtually a university within a university? You have made a good choice to study here with great mentors and excellent libraries. It is one of the premier research institutions in Canada. Now it is your home for the next few years. Within GCU, we are here to develop new friendships and help you flourish as a grad student. We believe in both a robust Christian faith journey and a dedicated academic pursuit. We also love dialogue with people of different persuasions. This combination can be quite dynamic and inspiring. The questions from academic life can be brought to the Scriptures and the study of the Bible can inform our academic work in surprising and life-giving ways. We work to develop a community of mutual support, where vision and ideas are shared and cherished. GCU wants to be a resource of good reading and support from faculty as well. On our Blog ubcgcu.org, we post articles from faculty, other students and myself to stimulate reflection and discussion, along with suggestions for further exploration. Because we are interdisciplinary, that creates a lively conversation as people bring their wealth of knowledge together. Overall, we work towards a better world and becoming better people as a result of our time at UBC. Our previous university president, Stephen Toop, reminded us that graduate students are in preparation for global citizenship, which is both exciting and a challenge. GCU September Events: Hikes, Fall Retreat at A Rocha September 14 Reception, Study Group starts Thursday September 24 on Book of Philippians. We look forward to hearing about your research passion and the questions you are exploring. You have so much to add to this dynamic environment. One of our PhD student colleagues attended a leadership conference with Dave Kraft a couple years ago and came to me the next week very excited indeed. I will relay some of his thoughts because leadership is an area in which we all must grow, even though it may not be on the curriculum of our degree program. We feel the tug of leadership when we teach an undergrad class or run a tutorial, lead a colloquium. I remember a special PhD student tutor in the killer course organic chemistry at Queen’s University who saved us from implosion in second year. He was wonderful and patient and clear. He was deeply committed to us and our learning–100% servant. I don’t know how I would have survived that course without him. His face and character remains a happy memory to this day. You will be called on to lead with your Masters and especially your PhD as future global citizens. I’ve just connected on LinkedIn with Dr. Katherine Excoffon one of our alumni who is leading a virology lab at Wayne State University in Dayton, Ohio. She has stepped up to the plate of leadership and shows a model of what can be our future (http://www.youtube.com/watch?v=40yIE1wbA5E). Faculty here have proved to be very helpful at modelling leadership; learn from their best characteristics. I have learned much from faculty here and elsewhere in my studies. Where would I be without them? Reading good books on leadership is also a bonus; don’t leave it to the business students to think about leadership. A book called Integrity by Henry Cloud really impressed me a couple years ago, stressing the power of virtue in leadership, the impact of a person’s wake; Don Page’s book on Servant Leadership is very impressive in its breadth and depth and common sense. Humility, passion, servanthood, emotional intelligence are all key virtues to cultivate as we develop our academic expertise. 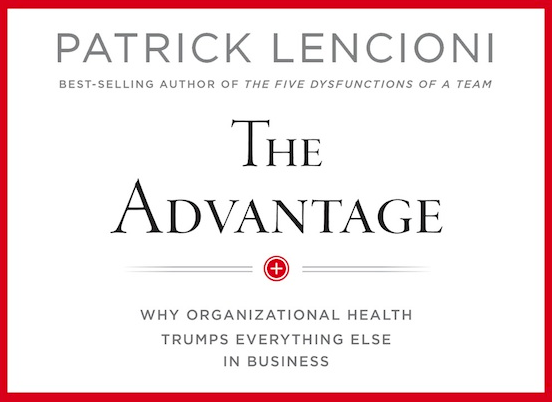 Patrick Lencioni’s best-seller The Advantage was the book promoted at Vijay’s conference. He convinced me to read it immediately and I have enjoyed it and recommended it to several colleagues who are involved in supporting leaders. The book focuses on organizational health as a key advantage in leadership. The qualities of leaders is again emphasized. It is amazing how it parallels the virtues encouraged by the biblical authors and stories. 1. Find your Identity in a Credible Life. Character is just as important as competence, and we all know how important competence is in today’s world. Know yourself; take time weekly for reflection and a long walk in solitude. Discern your sources of motivation; there may be some dark stuff there that will trip you up some day. Deal with your ‘demons’ while in grad school. Drill down into your true calling rather than floating with what is pop or trendy (here today and gone tomorrow). Go for the deeper life connected to eternal values that have proved the test of time. Good mentors can have an influence here; seek them out. Vijay remembered that Dave had spoken about how important it is to say No to several things, in order to say a deeper and stronger Yes to your calling. This is the area of personal formation (aka discipleship for Christians). “Before you are a leader, success is all about growing yourself. 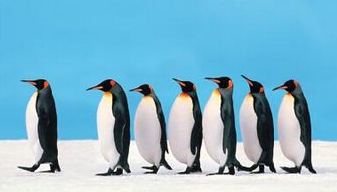 When you become a leader, success is all about growing others.” Jack Welch. GCU longs to be of service to you in your goals in life and for further learning, and to show you some new horizons for your thinking. Our vision is to be a highly supportive network among students and faculty, and also a creative voice for alternative integrative, big picture thinking at UBC. The implication of positioning oneself in a state of openness to the love, truth, goodness and beauty, to a relationship with God and appreciation of his creation is highly motivating. This empowers grad students for constructive thought and action. In one sense, reality is what you make of your opportunities for growth; the right paradigm makes all the difference in recognizing those opportunities. GCU fosters dialogue on important issues and provides opportunity for expressing your views and questions from wherever you are in your personal journey.There is need for creativity as we pursue wisdom and skills for life in a complex, changing world. Our grads have become productive global citizens, working in many constructive capacities around the globe. It will be great to hear about your passion, your personal interests, and aspirations. Welcome to those looking into the Christian faith for the first time at Seekers Corner and Apologetics blog posts. These are written with reflective, truth-seeking people in mind. Please do call or email to find out about how to connect with the GCU community and discover people of like mind. Join us at the fall reception, our hike, the Fall Retreat, Friday prayer meeting, a lecture or book study. GCU people are from many different countries and have great stories to tell. Meet other students with high achievement and leadership aspirations like yours and professors who can both inspire and support you through the challenges of grad life. Faculty members add much to our ongoing learning through potluck dinner discussions, lectures, book studies, and individual mentorship and problem-solving. This blog hopes to keep you informed of exciting resources in growing Christian scholarship, websites (Graduate & Faculty Network) events, opportunities and ideas. Return and stay in touch. Share the link with a friend. We will work hard as a community to keep it fresh and dynamic for people from across the academic spectrum! Join an exciting conversation for thoughtful, caring and adventuresome graduate students. “Esto es muy interesante. Gracias por eso. necesitamos más sitios como este. Te felicito por su gran contenido y excelentes opciones de tema “. they’re discussing on the internet. You actually know how to bring an issue to light and make it important. A lot more people have to read this and understand this side of the story. This website was… how do I say it? Relevant! !Finally I’ve found something which helped me. Thank you! Christian graduate students demonstrate their faith (of the richness and variety in Hebrews 11) every day on campus. This faith, which is deeply relevant for academic and personal life, is rooted in historical experience, in hope and in God-ordained promise. Christ-centered and incarnate faith is a fulcrum that can move the world and leverage the future. On one side it is a private treasure and pursuit; on the other hand it is public truth for all (Lesslie Newbigin). In our journey at UBC, we maintain that Christian faith is good for everyone no matter their background (even the neo-atheist). Robust faith involves a persistent search for both understanding and wise integrity; it can open the doors of insight and improve one’s relational skill and sensibilities at the same time. Dynamic faith, located in a quest to grow up into full maturity in Christ (Eugene Peterson, Practice Resurrection), will expand the horizons of academic research, and offer wisdom on managing projects, funding, time and talent. It is worth breaking a couple drill bits to get down into the deeper layers of weighty, God-honoring faith. It a faith worthy of testing. Too many students miss out on the opportunity to grow as a person while doing their PhD; they are skill heavy and maturity light and and can leave UBC morally naive. The current public exclusion of faith from academic discourse is nothing short of a tragedy. So agrees Douglas Todd the Vancouver Sun religion and ethics editor in his June 9, 2012 piece called “Can Higher Education Recover its ‘Soul’?” University of Florida’s history professor John Sommerfield says that the secularization of the university has gone too far, to the detriment of its own stated purpose of training future leaders. David Adams Richards, famous Canadian novelist, in his bold book God Is: my search for faith in a secular world., refuses the stifling of the Christian voice in public: Faith to him is the essential key to freedom (a sure way out of human violence and self-destruction), and a key to wholeness of mind and life. It prevents power from having the last say. At the end of the day, faith is a boon for academia and often used without proper credit; one cannot do proper science without faith in certain key assumptions. Faith and reason, when discovered and used in creative synergy, are very complementary, innovative and powerful; they do not properly exist in separate realms (D. Stephen Long, Speaking of God) but together. Faith rejects fantasy and superstition; it ultimately wants all of reality, not a reduced version of it.